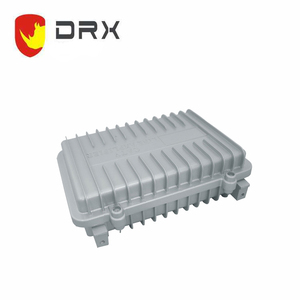 158*90*75mm IP67 plastic waterproof enclosure die cast junction box Product detail Parameter specification Brand XIN DA Item name waterproof enclosure Operating Temperature -40&deg;C to 120&deg;C Protection degree IP66 ; IP65 ; IP66 ; IP67 Material avai la ble Aluminum, ABS, plastic , metal, pc Available Color Light grey or silver, can be customized Water resistant Yes L ength(mm ; inch) 158mm W idth(mm ; inch) 90mm H eight (mm ; inch) 75mm Customizable Yes Other size product Application for enclosure Company profile Founded in 1995, Shenzhen Xinda Electronic Limited is an engineering and manufacturing company focus on Precision Connectors, cables, and signal wires for computers, digital products, Medical equipment, war industry, finance products, telecommunications industries, and household appliance. With experienced R&D team, advanced production equipment, and perfect management system, we can offer complete solutions for OEM/ODM projects, including mould development to finished products. In a rapid development of several years, we&rsquo;ve been a strong and professional company with an area of 2600 Square meters and more than 450 staffs. Our company covers an area 26,000 square meters, including an 8,000-square-meter building area. With the help of our 260 employees and 120 technicians, we provide mold making, casting/forging, precision machining, assembly and surface treatment services. The processes we offer include die, sand, gravity and low-pressure casting with sizes ranging from 0.1 to 4,000kg. Die cast aluminum is softer than steel, making it much easier to drill precisely. Order Note: * Drawings from website is just for reference, for more correct info and special requirements, pls feel free to contact with us. * Pls send us your design drawing so that we can work out an exact offer for you. 10 YRS Ningbo Jiahe Enclosure Co., Ltd.
2. One stop service for die casting mould & die casting. 5. When can I get the sample9 About 30 days after we start to make mold. 6. What is your main order time9 About 45 days after the payment. Q2: What color do you have9 A: Black, silver, grey, blue, white. Q3: Could you mark or drill on the end plates9 A: Of course , we offer two options: laser cutting or silk screening. Q4: Could you accept customize9 A: Yes, please send us 3D drawing. 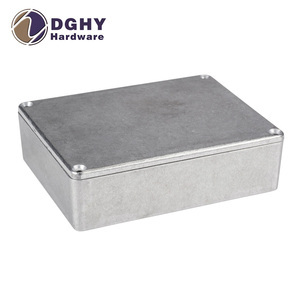 We are a professional manufacturer of equipment cases, die-casting enclosures, plastic waterproof enclosure, junction boxes, etc. instrumentation, automation, communications, and other related fields. 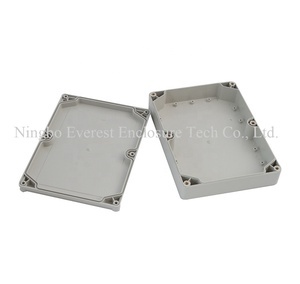 Attn: Amber Lu Ningbo Everest Enclosure Tech Co.
Power supply equipment sheet metal leakless enclosure We are extremely well equipped to provide customized solutions to your sheet metal equipment enclosure needs. We are extremely well equipped to provide customized solutions to your sheet metal enclosure needs. In Bo Jun, you will find us as your own professional customized sheet metal fabrication supplier who offers world-class service and client-orientated solutions. 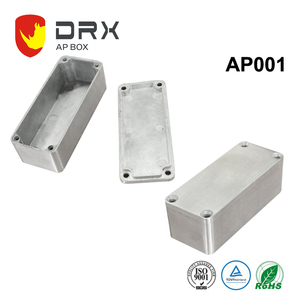 Certificate :Products are c omply ing with ROHS and CE Advantage: Direct factory and leading manufacturer OEM/ODM service are acceptable. Products can be made according to your requirments; such as drilling, painting, punching, silk-screen printing and etc; Your design is welcome,the cost of mould can be free with a large quantity. Timely pre-sale service and after-sales service Your inquiry for more details will be received a response in 24 hours ! 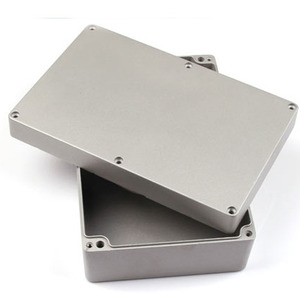 6 YRS CS&CM Metalwork (Shanghai) Co., Ltd.
Alibaba.com offers 8,012 die enclosure products. About 56% of these are electronic & instrument enclosures. 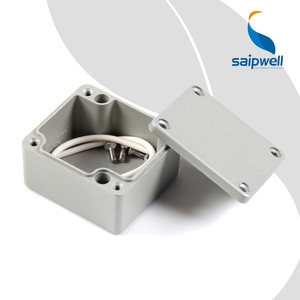 A wide variety of die enclosure options are available to you, such as distribution box, switch box, and junction box. You can also choose from ip65, ip55, and ip66. As well as from heat sink, decorations, and door & window. And whether die enclosure is free samples, or paid samples. 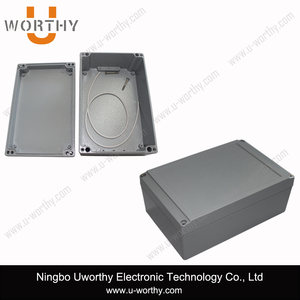 There are 8,012 die enclosure suppliers, mainly located in Asia. 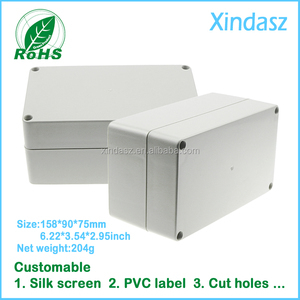 The top supplying country is China (Mainland), which supply 100% of die enclosure respectively. 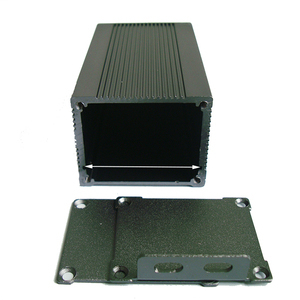 Die enclosure products are most popular in North America, Domestic Market, and Southeast Asia. You can ensure product safety by selecting from certified suppliers, including 3,708 with ISO9001, 813 with Other, and 571 with ISO/TS16949 certification.